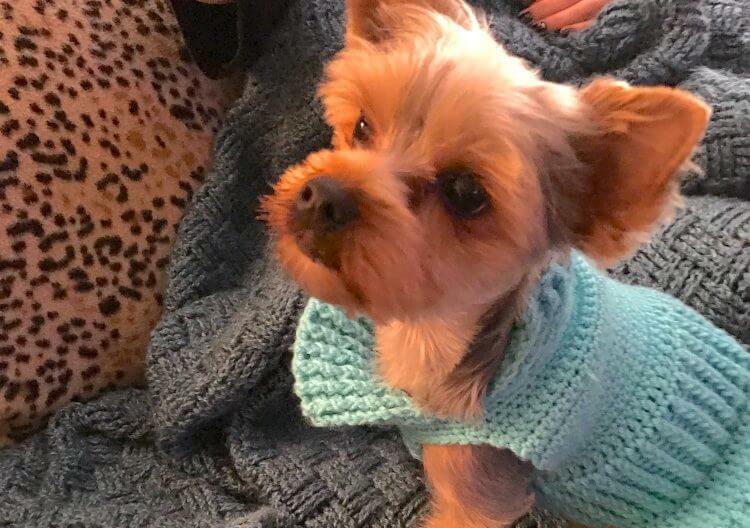 If your dog tends to get cold, learning how to crochet a dog sweater can be a worthwhile skill to master. I know my way around a crochet hook, but my mother is a crochet master, so I’m basing this article off of her tips. Although this do-it-yourself project is advanced, with a little patience you can create adorable, high-quality clothing for your pup. 2. Take your pup’s measurements. For most patterns, you will need to measure around the neck, chest and length from neck to tail. 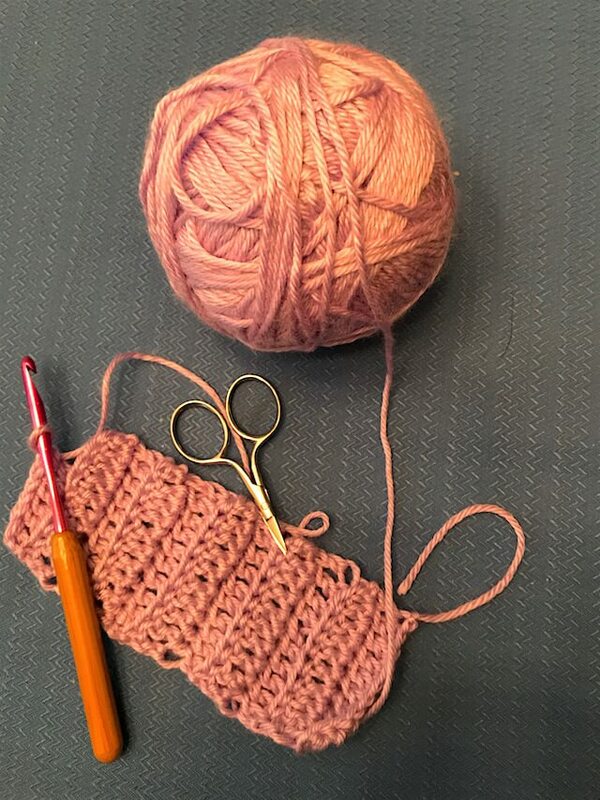 3. Review crochet basics and tips. 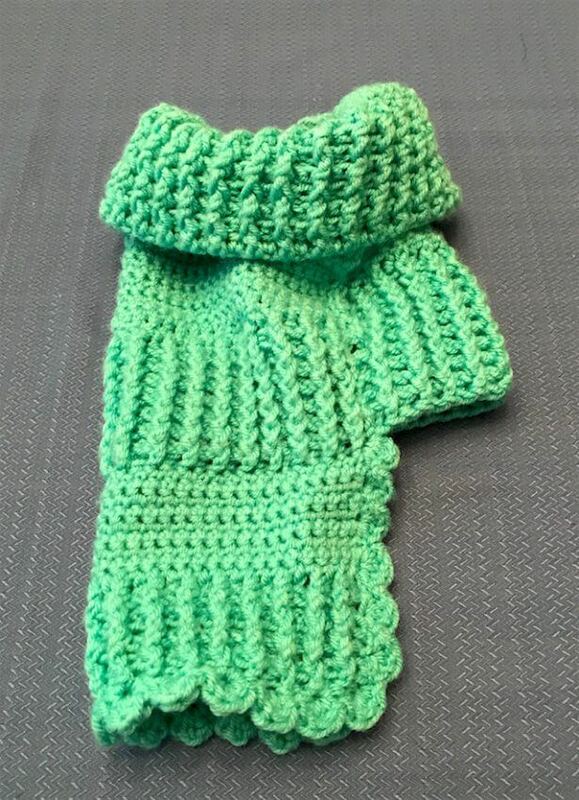 Take some time to peruse tutorial videos to refresh your memory on tips when crocheting and to learn the specifics of this type of project. The pattern you select should come with step-by-step instructions on how to make the perfect sweater for your dog. The ideal pattern will vary depending on the shape and size of your pup. My mom adds a big, cute button to the chest strap of many of the sweaters she makes. Just make sure any flare and frills are not going to be an easily swallowable health hazard to your dog. Any time your dog is wearing clothing, they should be supervised. 6. Let your pup decide if they approve of your work. After 1–2 weeks of crocheting in your downtime, let your pup take the sweater for a spin. My mom’s dog, Stella, is very comfortable wearing clothing. But no matter how hard you worked on making an adorable outfit, never force your pet to wear clothes if they resist.